In the late 1880's, Kearney business leaders envisioned the city as a major manufacturing center. The Kearney Cotton Mill was among the many enterprises launched as part of this venture, which included paper, woolen, and oatmeal mills; plow and canning factories; brick works and machine shops. The economic depression of the early 1890's, however, ended most of these businesses. The Kearney Cotton Mill was financed in part by a Massachusetts firm. Upon its completion in 1892 the mill was the largest manufacturing plant in Nebraska. The two-story brick structure cost over $400,000 to construct. Raw cotton was shipped from the South by barge and railroad. At peak efficiency the mill employed about 450 workers and produced 26,000 yards of unbleached muslin daily, some of which was shipped to such faraway places as the Orient. In 1901 the plant was closed due to economic pressures, including high freight rates and labor costs. During its existence the mill never operated at a profit. The building stood vacant until the Midway Amusement Park was established in the spring of 1920. A swimming pool was constructed in the basement of the plant and the main building was used as a dance pavilion. On March 18, 1922, the mill and park facilities were destroyed by fire. 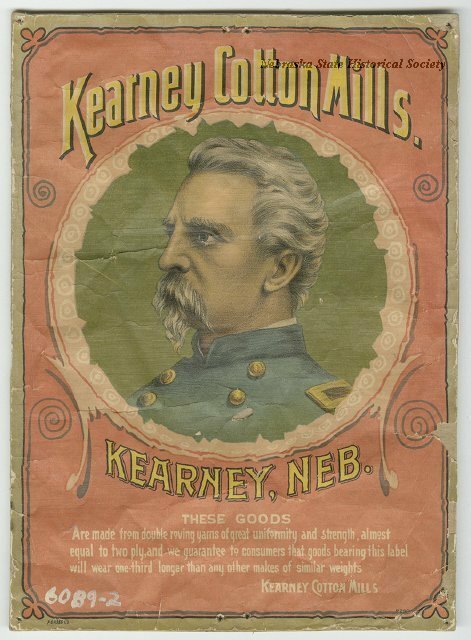 “Kearney Cotton Mill,” Explore Nebraska History, accessed April 18, 2019, https://mynehistory.com/items/show/34.